Colorado Fall Colors, whats with them? Whats with our Colorado Fall Colors? The Fall Colors seem a bit slow this year. I have been giving 4×4 tours into the San Juan Mountains of western Colorado for over 25 years and to my observations the Fall Colors seem to be running rather late and I began to wonder why. So I did some research and thought this would make a great post! Our Weather and how it might have effected the Fall Colors. To briefly describe our weather this Summer it would be we had a drought in the spring and Monsoons from July on. So I was wondering how that might be effecting our Fall Colors here in Colorado and here is some of what I found. 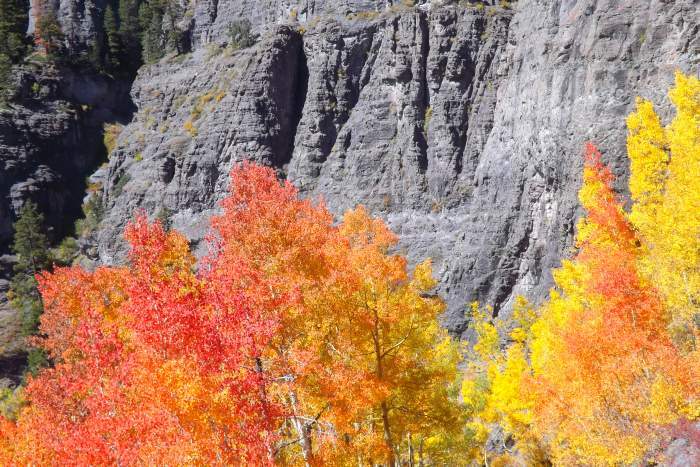 How Spring Drought could have effected our Fall Colors. A quote from a About.com article is “Drought conditions during the spring–the beginning of the leaf growing season–can cause the sealing barrier between leaf stem and tree branch to form earlier than normal. This in turn, can lead to an early “shutdown” of leaves; they’ll drop before they’ve had a chance to develop fall coloration.” I found this very interesting and could explain part of our issues with our Fall Colors, but what about all the Rain during the Summer? Looks like the other problem is that we basically had the Monsoonal pattern all the way through September and early snow in the high country and another Quote from the About.com article is “While adequate moisture is good during the early growing season, it works to mute colors in the early fall.” So this could explain our issues. 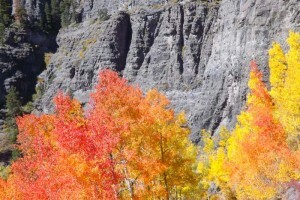 So what is the average Peak Fall Colors in Colorado. I thought this might be interesting and I was surprised to discover from the Farmers Almanac page that the average date for peak Fall Colors in Colorado is Oct-5-14th. So that puts us right in the average for our peak though they are few and not as vibrant as we all would hope. But they are out there to be found as you can see by some of my recent photos with this post. So get out your 4×4/off-road rig and go find some Colorado Fall Colors!!! A historic Archeological Artifact from the San Juan Mountains!